The dollar fell sharply after a mixed set of data and as Chinese financial markets went into “free fall” again plunging over 8%. 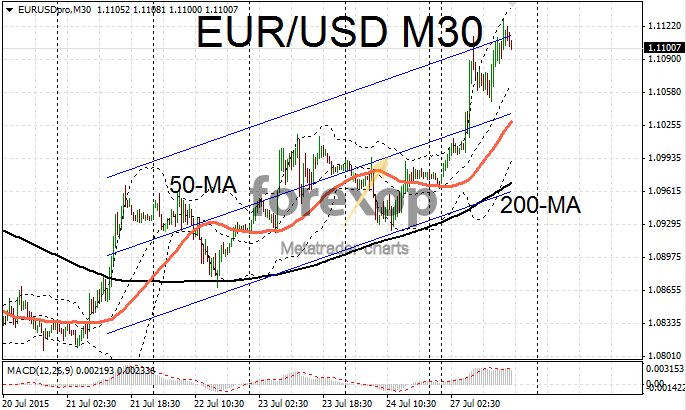 EUR/USD put in its best daily performance in over three weeks climbing firmly back into the 1.11 area. This has taken the pair back up to meet the 50-day moving average – a level which typically provides strong support/resistance. The euro was helped by an upbeat survey on German businesses. The latest IFO survey came in ahead of expectations at 108 (compared to 107.5 the previous month). The IMF also provided a relatively upbeat assessment of the Eurozone. It did though say in its report that the tepid growth could be an obstacle to overcoming the stubbornly high unemployment in the region. Also managing to rise up from some weak sentiment, cable gained to 1.5562 against the depressed greenback. 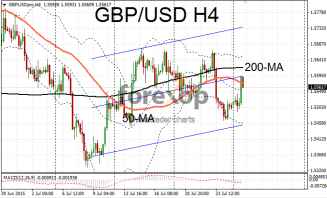 Unlike the euro however sterling was unable to hold onto early gains. 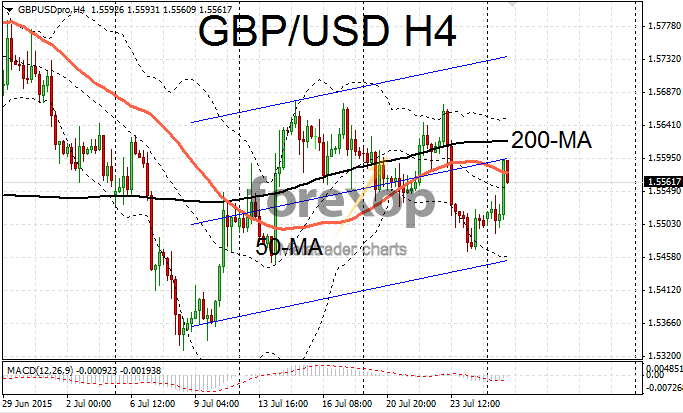 GBP/USD had risen as high as 1.5592 but momentum was lacking and the pair folded back down below the resistance level 1.5575. Estimates for the UK’s GDP for the second quarter are due on Tuesday 27 July. The data is expected to show the UK economy grew by 0.7% in the second quarter. The slide in the dollar started in the Asian session but accelerated throughout the day. Economic data was relatively upbeat but failed to inspire any buying interest. Manufacturing orders for durable goods rebounded in June latest figures show. Core “durable goods” orders – those excluding the transportation category – increased by 0.8% in June. This was ahead of analysts’ forecasts by 0.3%. The data also provided confirmation that business investment or “capex”, the category of the report which excludes transport and defense products, rebounded strongly in June. Activity in the US manufacturing sector still remains weak however and below historical averages. One of the reasons cited for this is the strength of the dollar and that could have aggravated the sharp falls seen today. A separate report also painted a picture of ongoing weakness in US manufacturing. The latest Dallas Fed manufacturing survey remained in negative territory at minus 4.6 points. This is up from the previous number of -7 but the latest survey missed the consensus estimate which was -4. The rout in Chinese stocks weighed heavily on sentiment. Traders increased bets that the Fed may take a more cautious line and delay the first rate rise. This given that the instability in China is likely to impact on real growth and demand – and that will affect the global economy. Treasury yields fell at the middle of the curve with the 5-yr taking a fall of 8 basis points and the 10-yr falling 5 basis points. The yen drew some strength from risk aversion. USD/JPY dropped to 123.18 making its biggest fall in two weeks. Support was established at the bottom of the 123 range but if the bearish sentiment persists this could see this support being tested again.